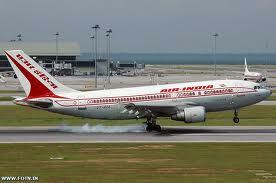 Delhi-India: Air India is set to increase the number of its flights to the Gulf region. Extra flights have been planned to Dubai, Abu Dhabi, Qatar and Saudi Arabia. Union Ministry Of Civil Aviation made an announcement to this effect. Air India and Air India Express will increase its services from 430 per week to 471 per week for the summer schedule which begins on Sunday. The number of flights will go up from 94 to 109 on Dubai route, while on Abu Dhabi route it will increase from 39 to 47 . On to Sharjah route, it will increase from 33 to 49 while on Doha route nine more flights will be added 12 to 21 . The National Air carrier has also increased the number of flights to Saudi Arabia from 42 to 48 .The services of Air India and Air India Express will further increase to 577 in winter 2012. A new route to Visakhapatnam is being added on the existing Hyderabad to Dubai service.Air India is also introducing a direct link between Delhi and Bahrain. The frequency of operation between Delhi and Riyadh flight is being enhanced from two to four flights per week Air India will also launch two additional flights per week on the Thiruvananthapuram - Kochi - Dammam and Kozhikode to Dammam routes. It will also operate four flights per week between Delhi and Sharjah via Amritsar and three times per week to Sharjah via Lucknow.